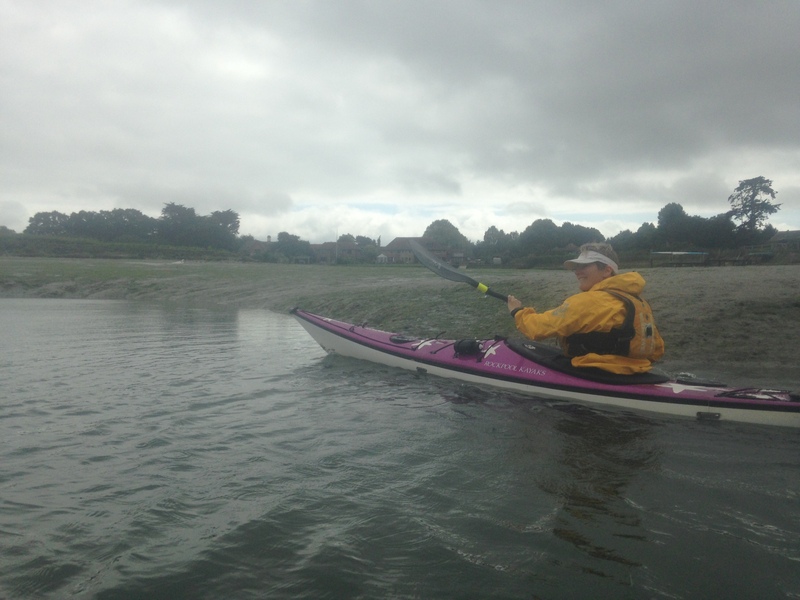 Lovely Chichester harbour paddle on Sun 19 August. We selected the extensive harbour area as a safe option, given the forecast was for F5 winds from the west. 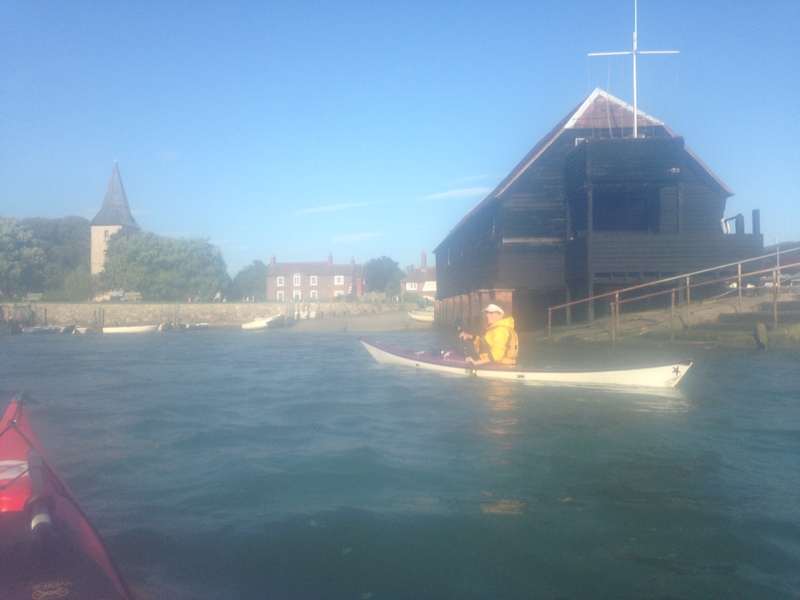 We launched from Bosham, and discovered that there are both Chichester harbour conservancy fees, and also Bosham slipway fee. Because Bosham has an all-state-of-tide slip way, they also operate a levy. So we set off ~£7 lighter! 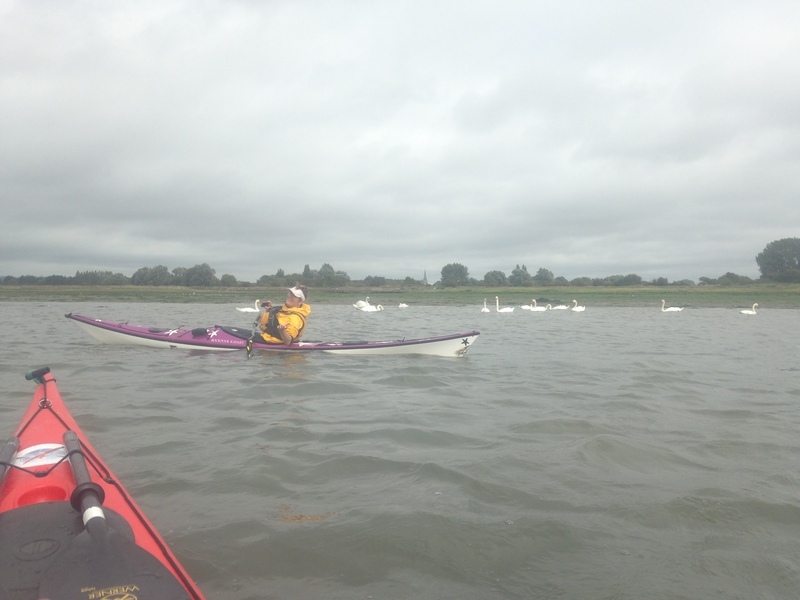 At some points we could just catch a bit of wind using our paddles! We reached the estuary finger, where is was possible, as though by magic to see through a gap in the trees to the Chichester Cathedral spire. Then back past Dell Quay, against flow and headwind we landed in West Itchenor to have a break & enjoy an icecream from a brilliantly placed icecream van. We saw loads of birds – including oyster catchers, egret (see below), swans, Terns, Curlew, Redshank and Shelducks, amongst others. Thanks to Olwen for her good company.